“Godzilla: Planet of the Monsters” directors Kobun Shizuno and Hiroyuki Seshita take a more workman-like approach, delivering a film that delivers solid action but isn’t nearly as thematically ambitious as its predecessor. Despite a script by respected anime screenwriter Gen Urobuchi, the film’s technobabble-heavy dialogue serves largely as a way to move from one action scene to the next. Compared to Anno’s masterpiece, “Planet of the Monsters” seems content to be a more conventional action film. 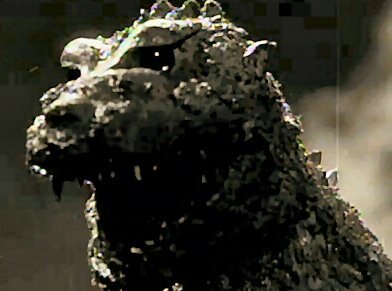 The anime version of Godzilla is surprisingly effective and frightening, and while the score vacillates between lacklustre and bombastic, the animation throughout is excellent, and the climatic action set pieces, filled with cool military hardware, are well executed ... It’s not a perfect picture, but it was a powerful proof of concept: Godzilla works as an anime. I didn’t even miss the man in the suit. "My two favourite things in Japan are Godzilla and anime. 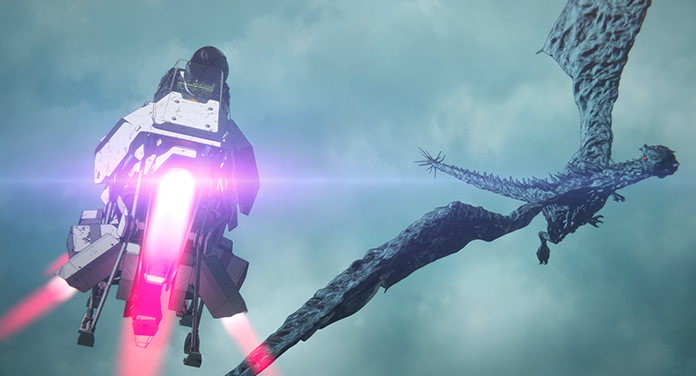 It's great to see these two things coalescing into an animation with overwhelming visuals. 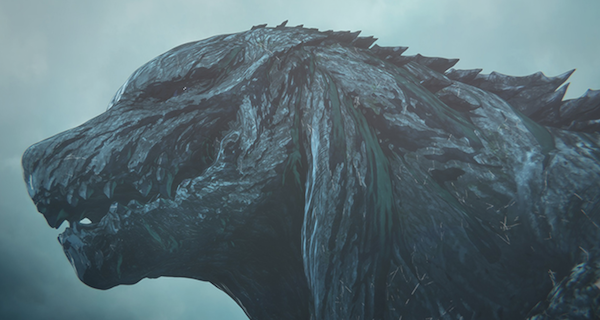 We've never seen Godzilla like this before with breathtakingly wonderful animation visuals." I actually like the Godzilla design, and I think the premise is a cool concept. I just wish it had a much better execution. A large chunk of the problem, I'm sure, is that this story will be stretched out over a trilogy, so all the filler comes with the territory. While it may not be good storytelling, I'm sure it's good business. The first thing that some folks may want to know is that this doesn’t feel much like a complete story. It COULD be considered a stand-alone in certain respects, but I was actually surprised at how short it was. Only 89 minutes. Since I still can’t speak Japanese, I can’t really give it a thorough analysis or proper review. But unlike Shin Godzilla, it’s not so high-level that I became lost at any point. I understood the basic jist of the action and drama through context clues. And it’s a pretty dramatic story. The main issue seems to be that the film is thought of as too short--Some view it more as a feature length "episode" of an anime which makes sense. In an interview with DA VINCI magazine, the film's directors admitted it was initially conceived as a television series. However, after the massive success of Shin Godzilla, Toho demanded it be upgraded to a feature. Are you one of the few western fans lucky enough to see it in Japanese theaters? What did you think? And if not are you still excited about it airing on Netflix in 2018? Sound off below. Godzilla: Planet of the Monsters stars the voice talents of Mamoru Miyano (Mobile Suit Gundam 00, Ultraman Zero: The Movie), Takahiro Sakurai (Mobile Suit Gundam: Iron-Blooded Orphans), Kana Hanazawa (.hack//Quantum), Yuki Kaji (Attack on Titan), Tomokazu Sugita (Attack on Titan), Junichi Suwabe (Space Dandy), Kenta Miyake (Mobile Suit Gundam Unicorn), Kenyu Horiuchi (Bleach, One Piece), Kazuhiro Yamaji (Final Fantasy VII: Advent Children) and Kazuya Nakai (Dragon Ball Super). The film is directed by Kobun Shizuno (Detective Conan: The Darkest Nightmare) & Hiroyuki Seshita (Knights of Sidonia) from a screenplay by Gen Urobuchi (Kamen Rider Gaim). The movie is currently playing in Japanese theaters and will hit Netflix worldwide sometime in 2018. The sequel, currently translated as Godzilla: Decisive Battle, Mobile Breeder City, hits Japanese theaters May, 2018. All in all, It's getting good reviews. I wasn't expecting a masterpiece. I was hoping for something good. Based on the reviews, it's just that. Can't wait to see it for myself. 89mins? That's the shortest Godzilla movie since All Monsters Attack isn't it? Still I cant wait to see it! It better get to Netflix asap! What western fans and critics? The only one I found said it had quite a bit of problems, such as very shallow characters and a not so good script filled with a lot of random technojargon, but they said it was good overall. ^That'll probably be a while. Besides, Toho Kingdom, as much as I love them, tend to painfully overly critical in their movie reviews. Any site that gives classics like Ishiro Honda's Atragon two stars out of five makes me arch an eyebrow. Godzilla: Planet of the Monsters could be a masterpiece, and Toho Kingdom will probably give it a star and a half. That's certainly not to say the individuals on the site aren't completely allowed to express their own opinions on a movie. But the reviewers there do tend to be very critical. I've always wondered why that is. "What western fans and critics?" So you completely didn't read the article and the links the quotes were from? Cool. Good observational skills. 11/10. Godzilla x MechaGodzilla (2002) was 88 minutes. Godzilla vs. Megalon was 86 minutes. Godzilla vs. MechaGodzilla (1974) was 84 minutes. Terror of MechaGodzilla was 83 minutes. Most tend to average at about 90 minutes--Give take a couple of minutes. While people are complaining about the run time, I think has less to do with the actual length of the film and more to do with the pacing. I have to agree with Gman here. While Planet of the Monsters is shorter than the past few Godzilla movies, there are shorter films that use their time better. I think the pacing problem is down to that the trilogy was originally conceived as a series, so I've heard. It sounds to me like the pacing issue may arise from both its original conceptualization as a series and its purpose to act as the first in a trilogy and set up two subsequent films. Many of the shorter G-films don't have quite as noticeable pacing issues, or at least not the same kind of pacing issues, simply because their story is meant to stand alone and doesn't need to set the stage for what follows quite as much. I imagine the pacing issues with Planet of the Monsters will seem less glaring once chapters 2 and 3 are released. Given the announcement of a trilogy I wasn't really expecting it to function as a completely satisfying standalone experience anyway, so I'm not really troubled by these complaints. i hope despite the short film it still delivers! still very excited to see it. Not really concerned about duration- it just needs to be good. I will go in with an open mind since I like what this movie could be based on trailers I have seen. Netflix and popcorn ready! Can't wait to see this! The run time doesn't worry me, but I really hope the human parts don't drag between the action scenes. The Godzilla parts never feel as rewarding to me when they're the only thing I'm waiting for... But they say the action and visuals are good, and in the end, that's the most important to me, so I'm excited! Japan seems to have lost its basic sense of Godzilla. Godzilla is a Dragon. He is not a plant or a legion. All Amphibians and Reptiles are Dragon-types and the further evolutionary a creature is away from these base Dragons the less Reptilian life becomes. Groot is a perfect example in de-evolution from the Dragon into something else. Why change perfection? A Tyrannosaurs with Stegosaurs spikes and Iguana arms, No Otachi mouth or faces on the tail, and now scales not bark. Ill watch it but Im already upset with the design and if it's as bad as shin Ill only watch it once. Pretty shabby tellin someone Godzilla is making a movie and he isnt even in it. That's twice now Toho with two more announced. I hear they killed off a Grootzilla in this as well, not cool even if it is an imposter. Im still pissed off about that alleged murder crap they pulled in 54, 95, 98, and in GMK. The physical changes in 98 were shocking but nowhere near as off-Godzilla as Swamp thinging him. I was more pissed that they killed her in 98 than anything. Now we have a worst-case ugly dogface Grootzilla I can hardly look at next to shin and they still kill off the imposter. Yeah there is a bigger one alive yet but its still NOTZILLA! I know im opening up a can of worms here but Godzilla is not a dragon. Or at least not the traditional dragon we all know. He is some kind of dinosaur mutated from atomic radiation. Japan hasn't lost its sense of Godzilla, they are expanding his sense. Giving him new areas to expand. Godzilla can be lots of variations here. A hero, a bad guy, an anti-hero, a nightmare, a monster, a father, a friend, a anti-nuclear warning/message, a cartoon character, I can keep going here but you get my point. So whatever he is in this movie isn't all that far fetched.